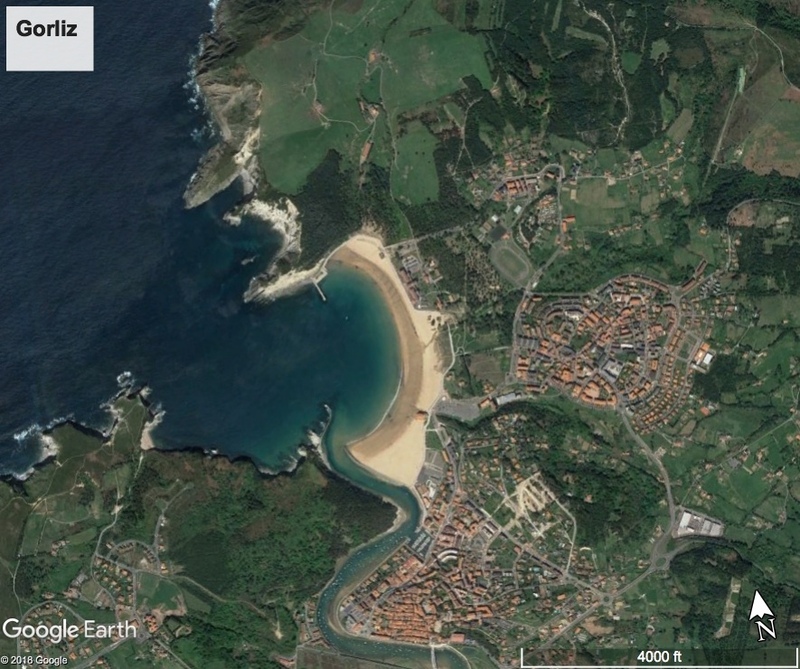 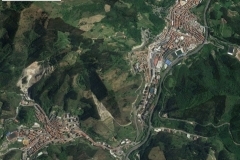 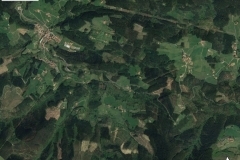 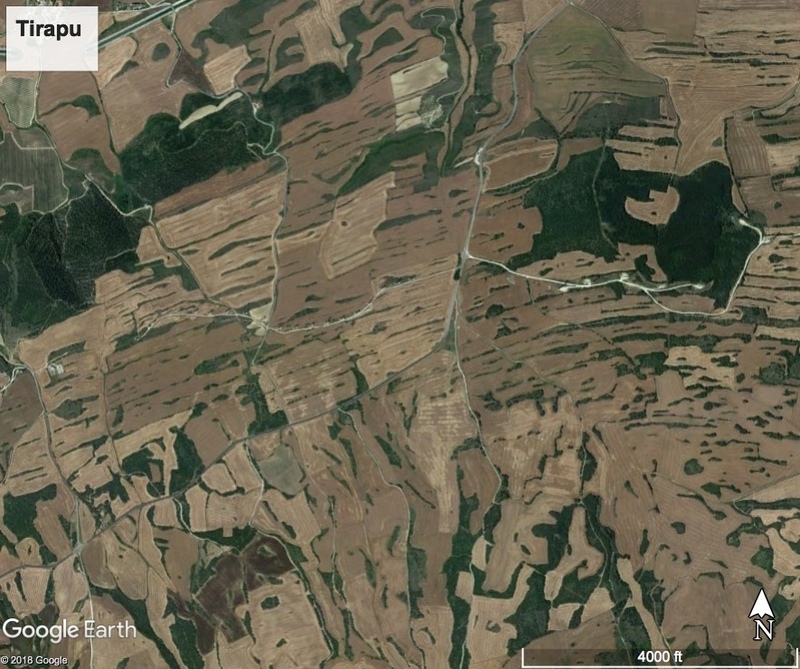 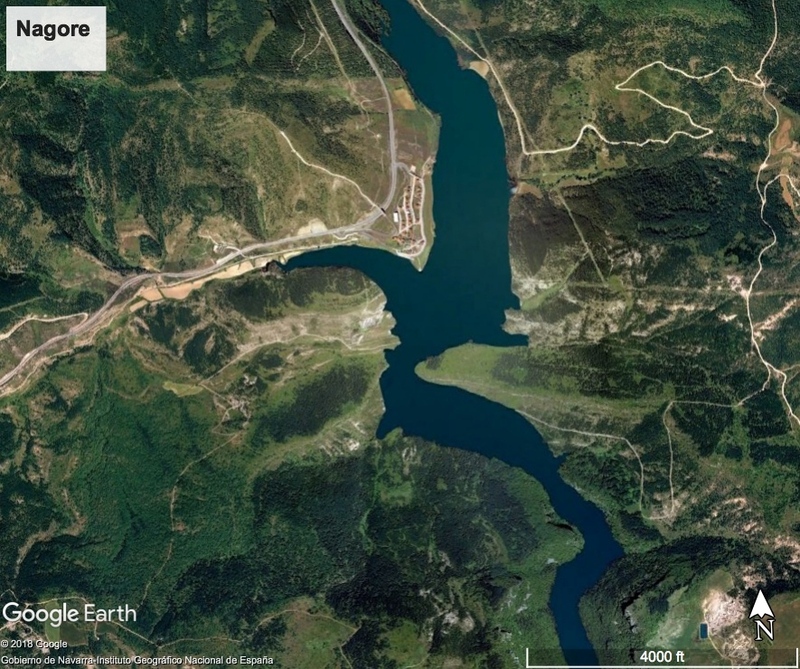 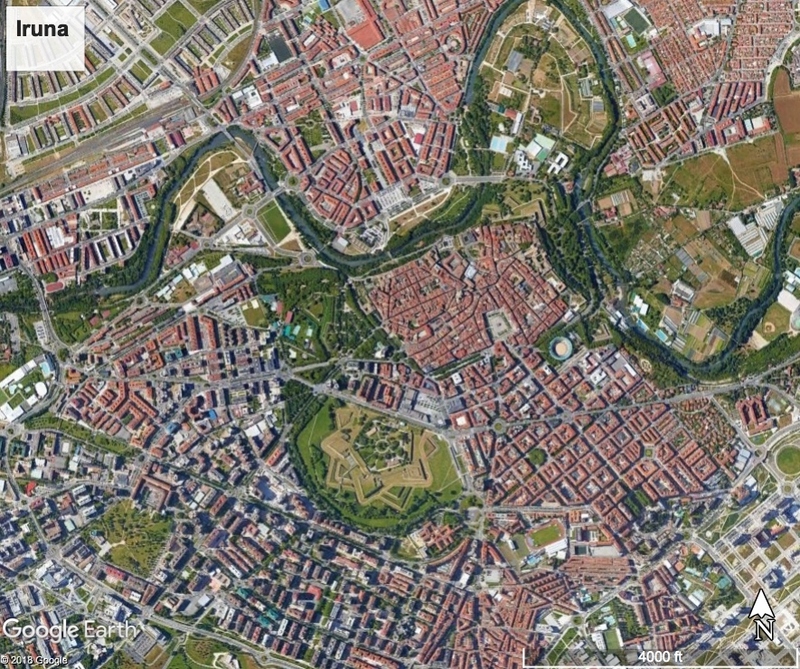 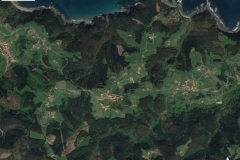 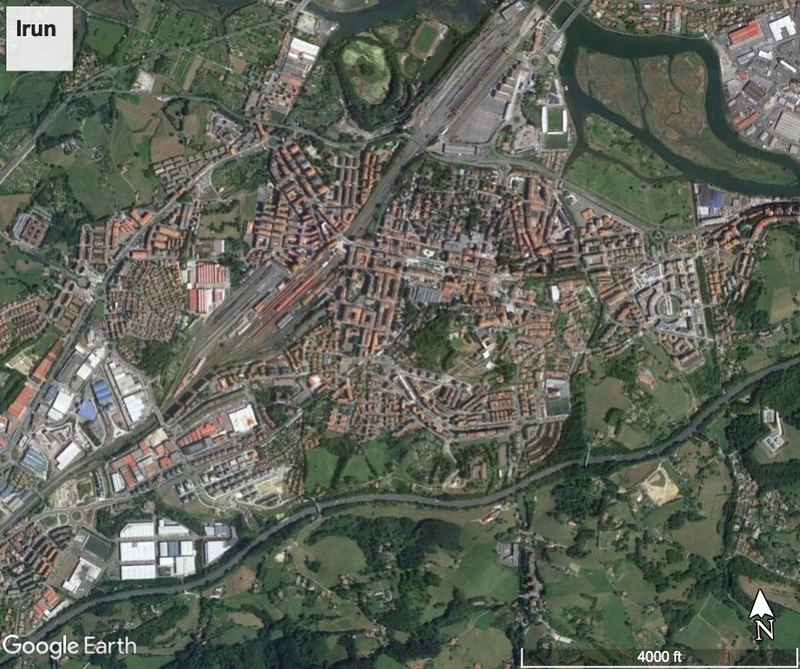 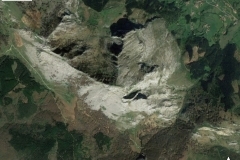 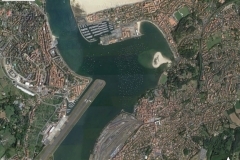 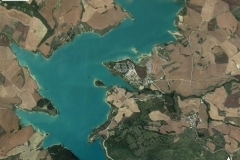 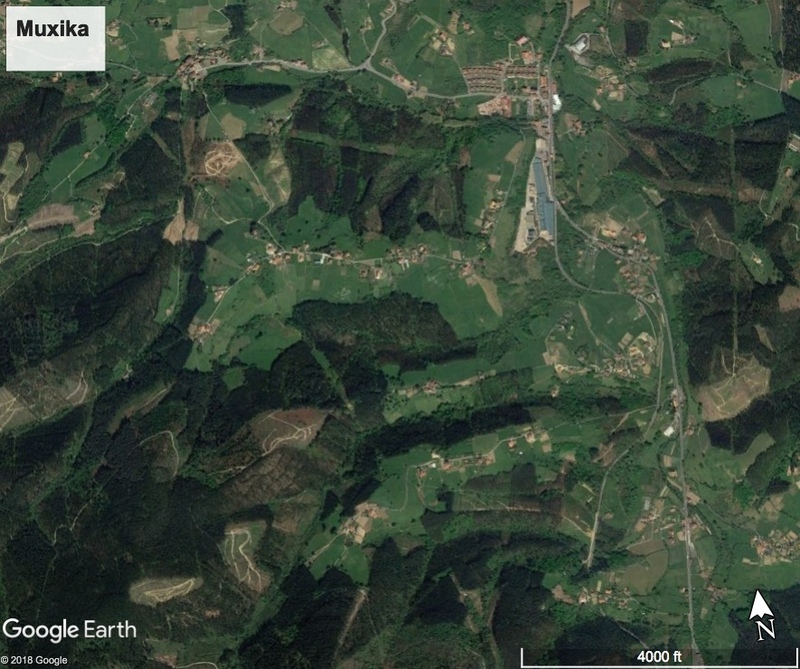 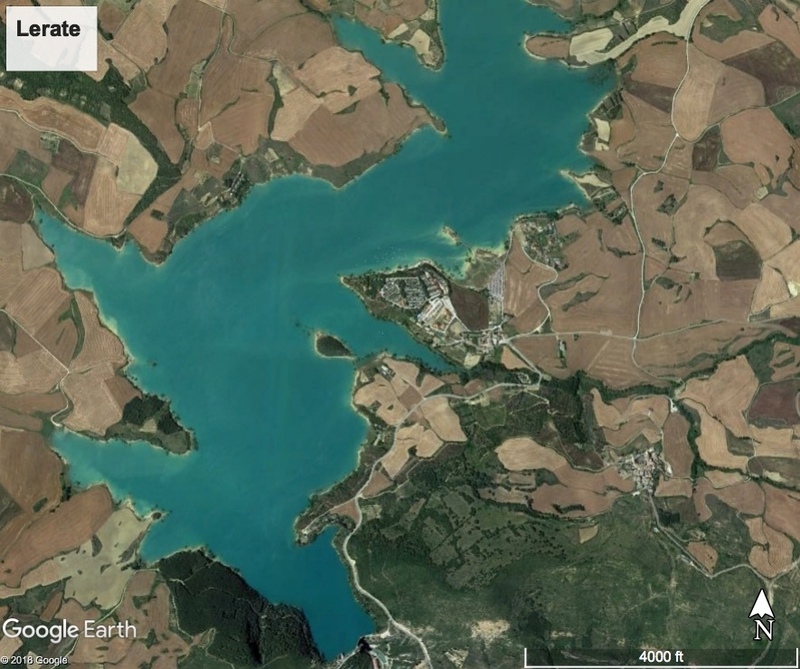 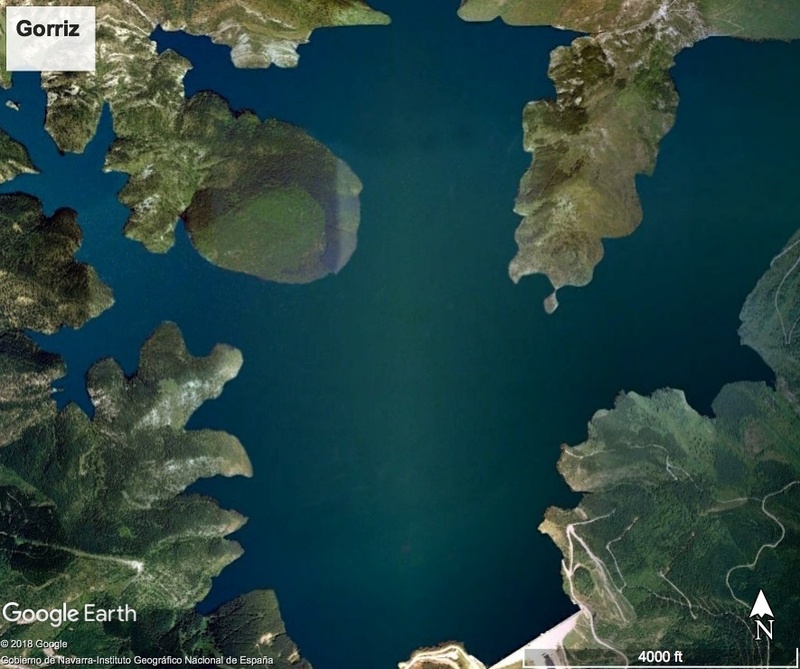 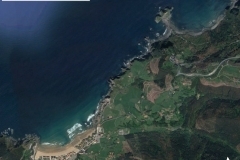 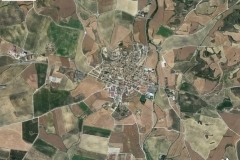 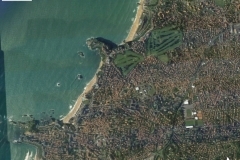 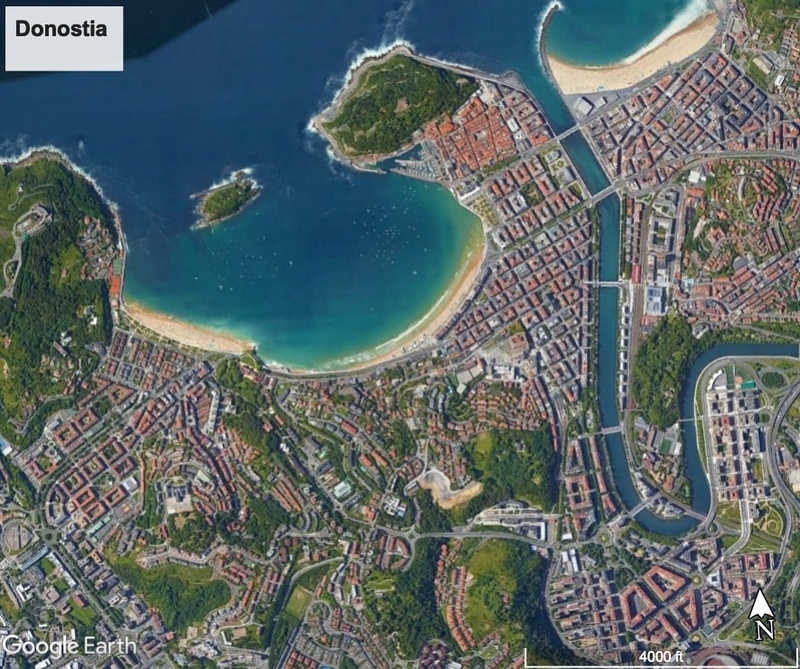 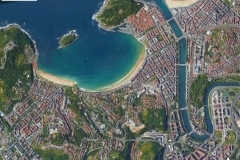 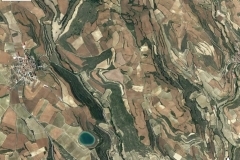 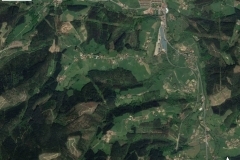 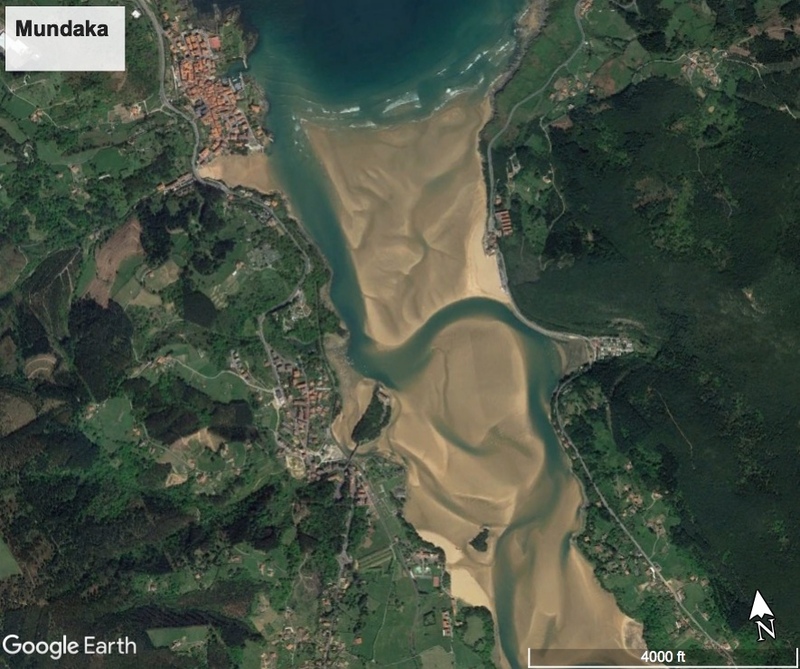 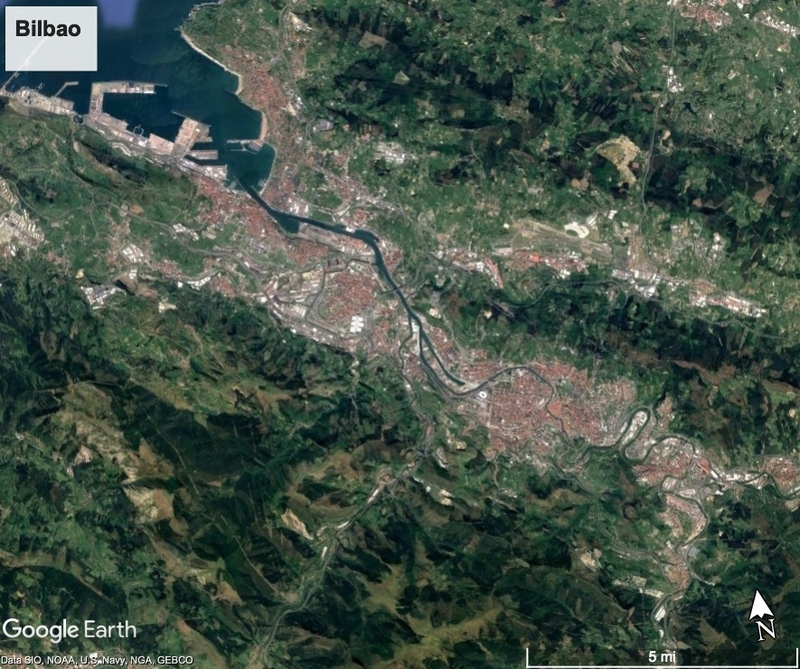 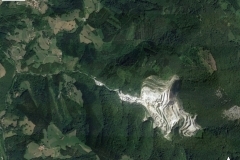 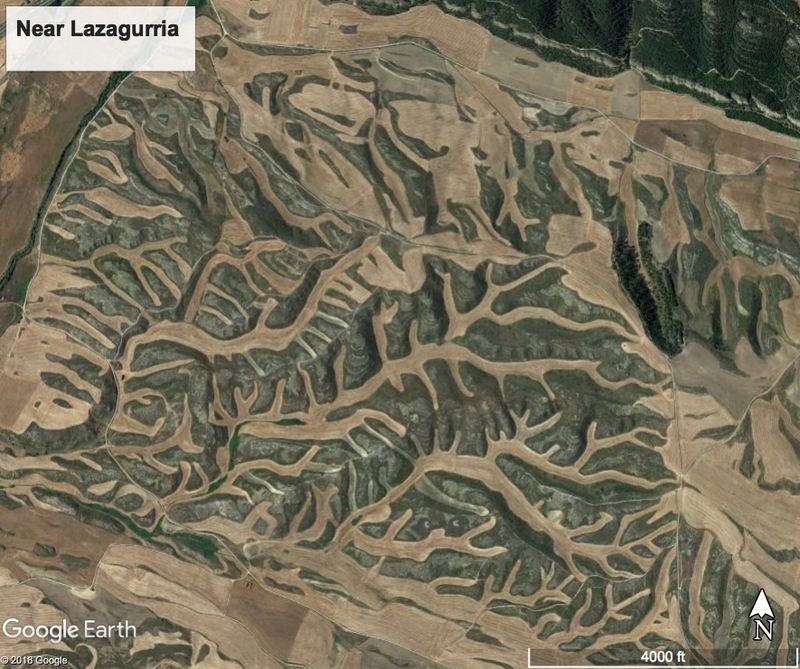 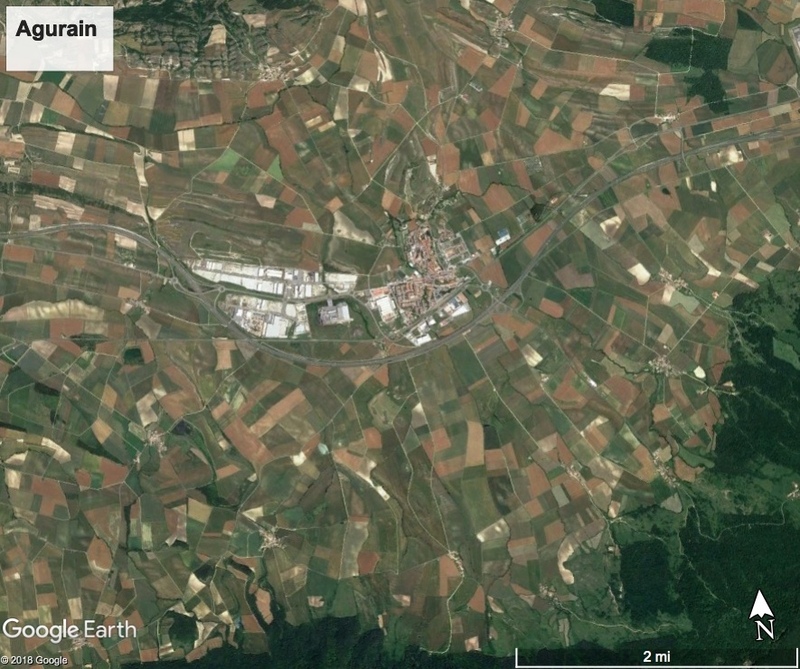 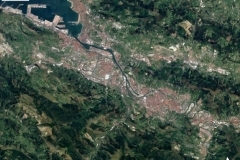 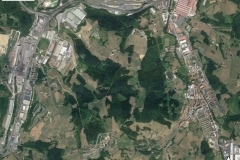 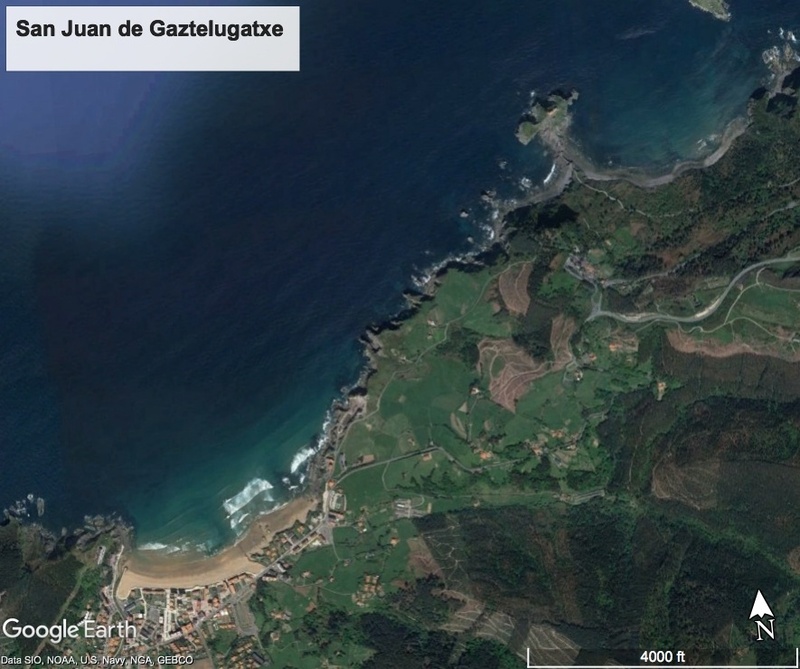 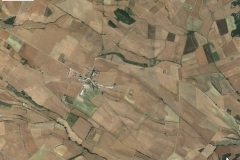 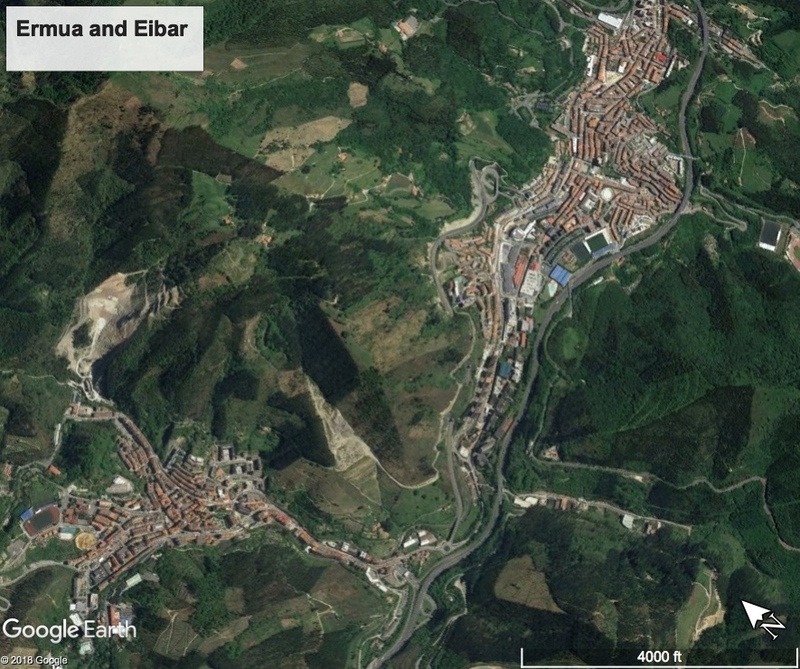 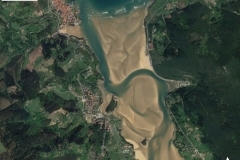 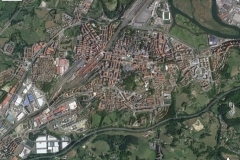 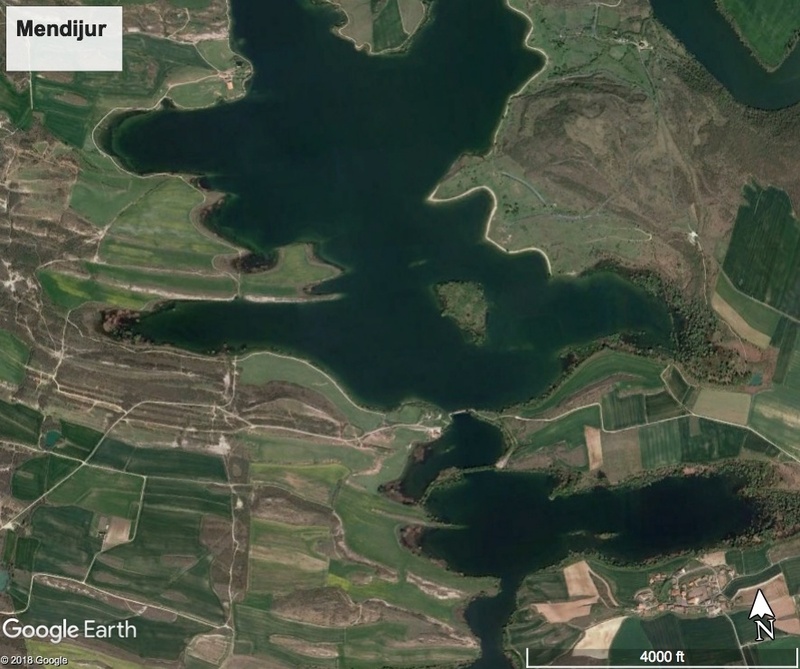 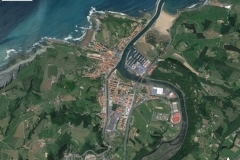 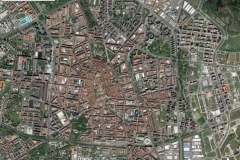 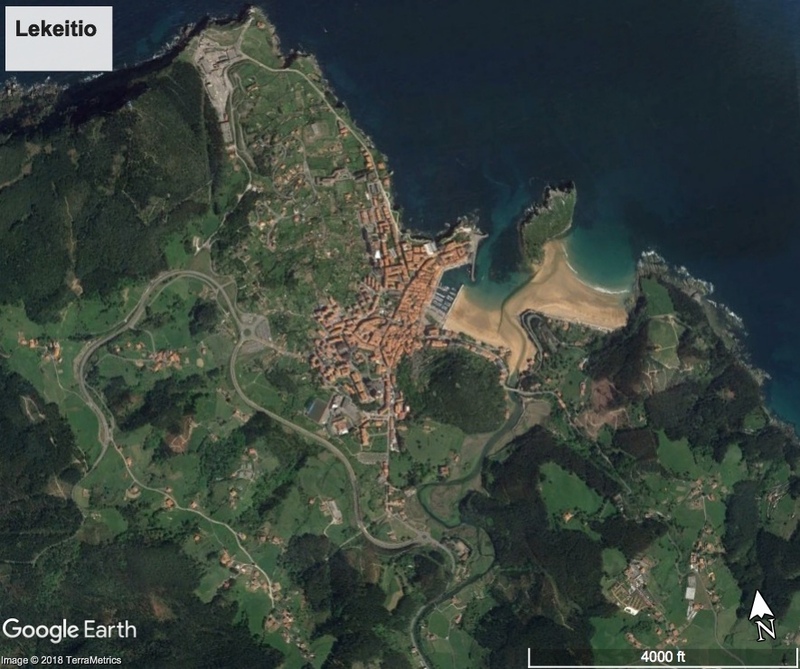 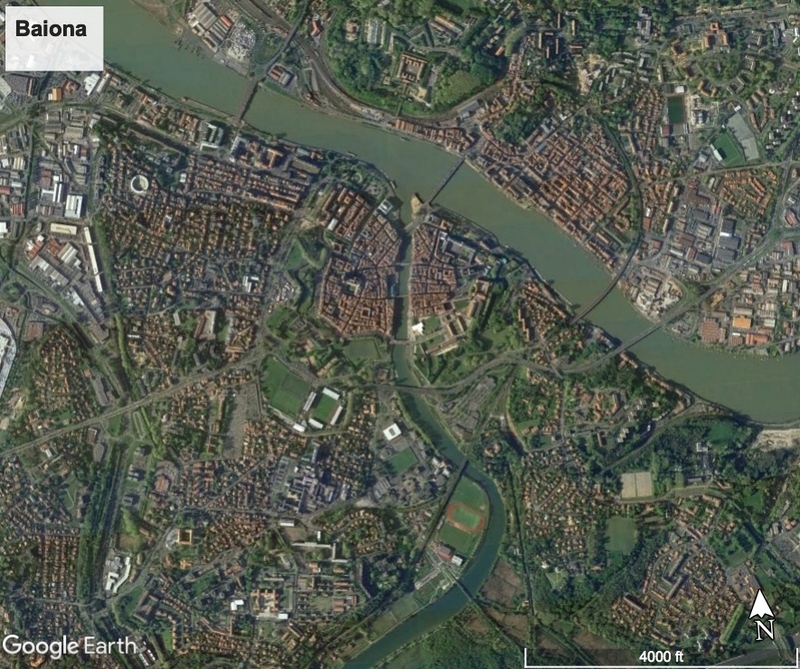 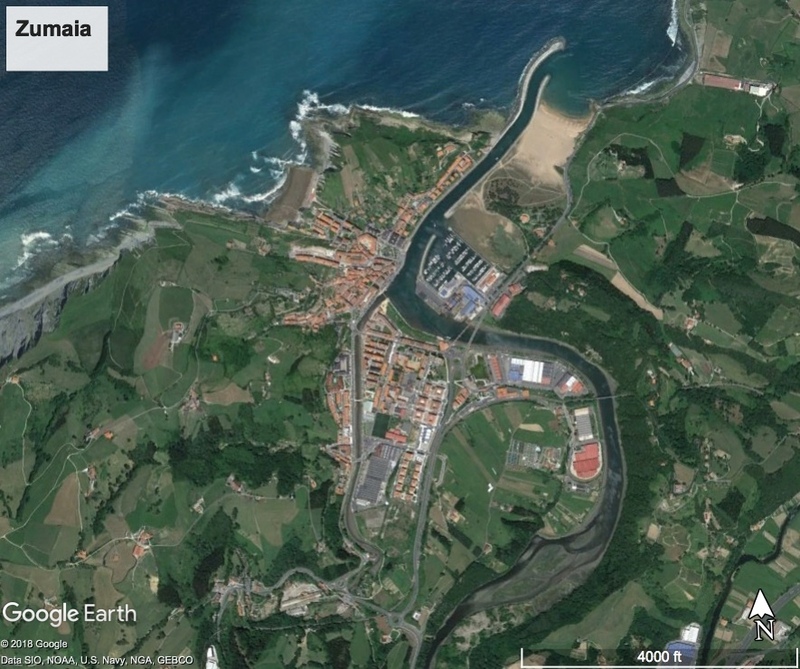 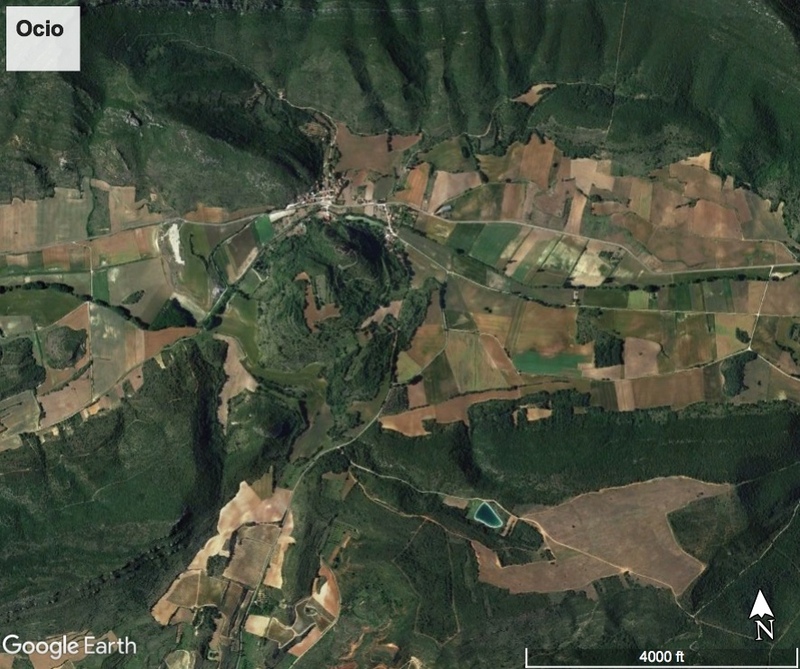 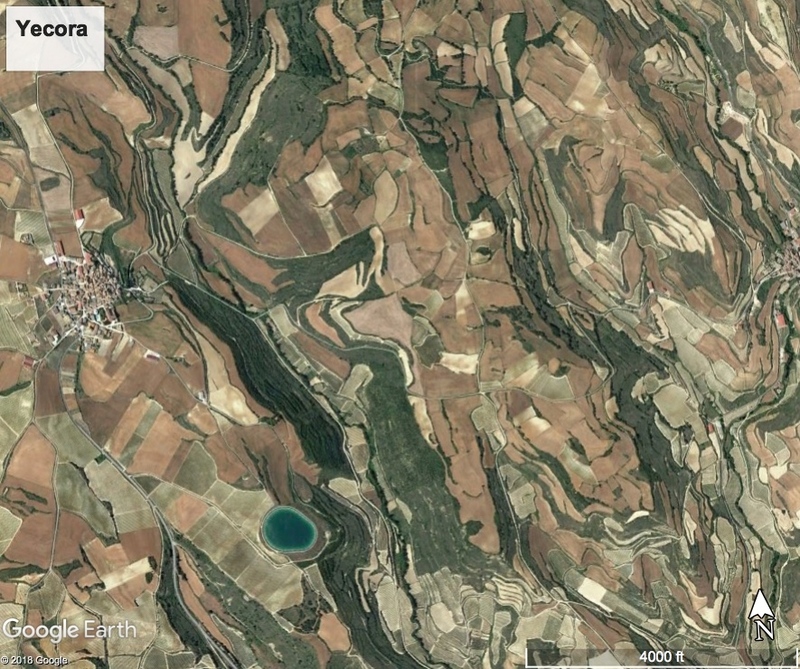 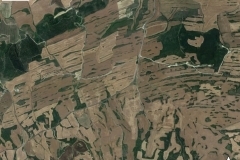 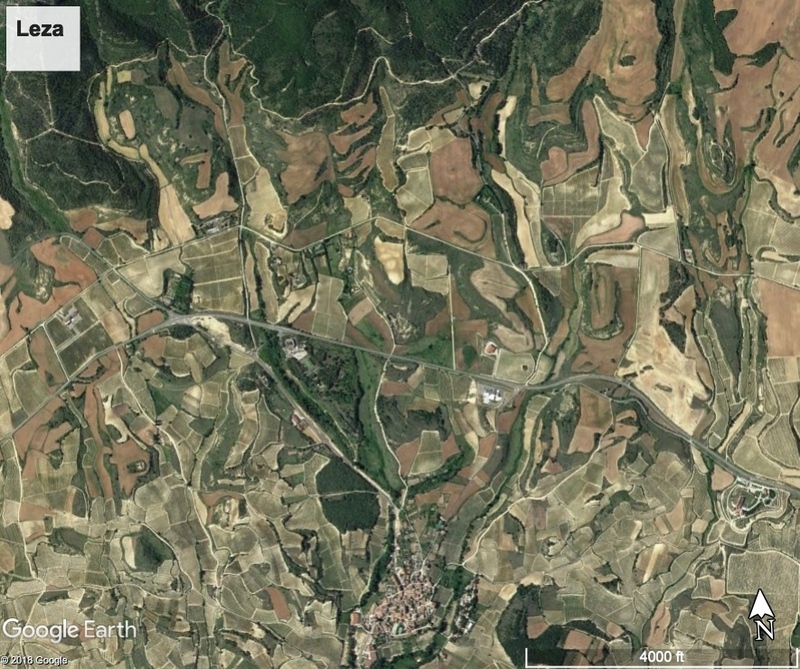 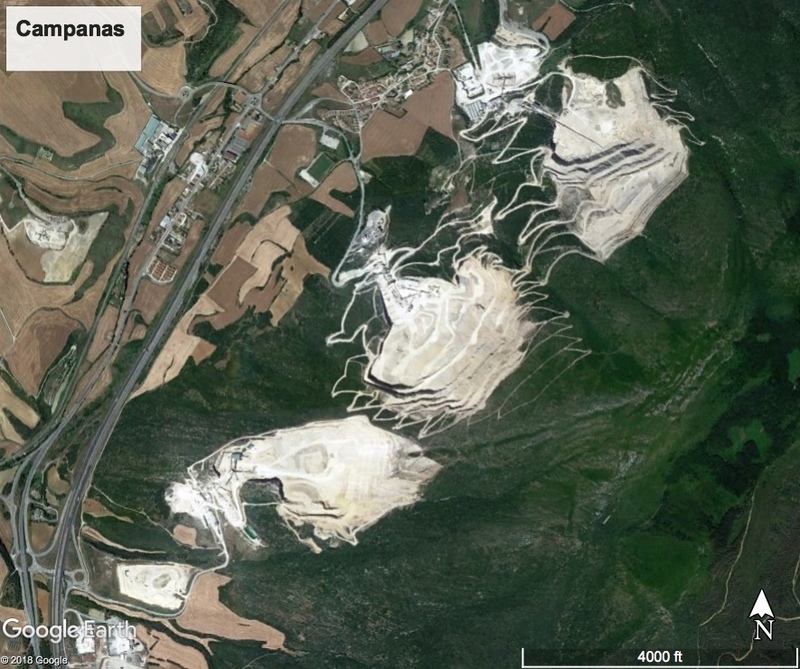 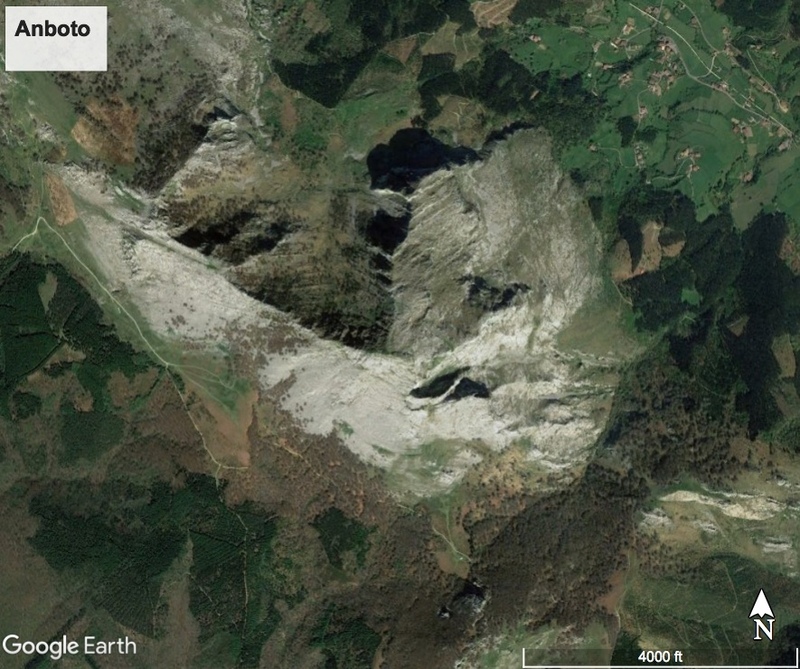 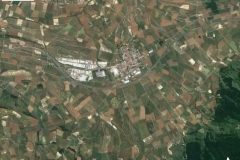 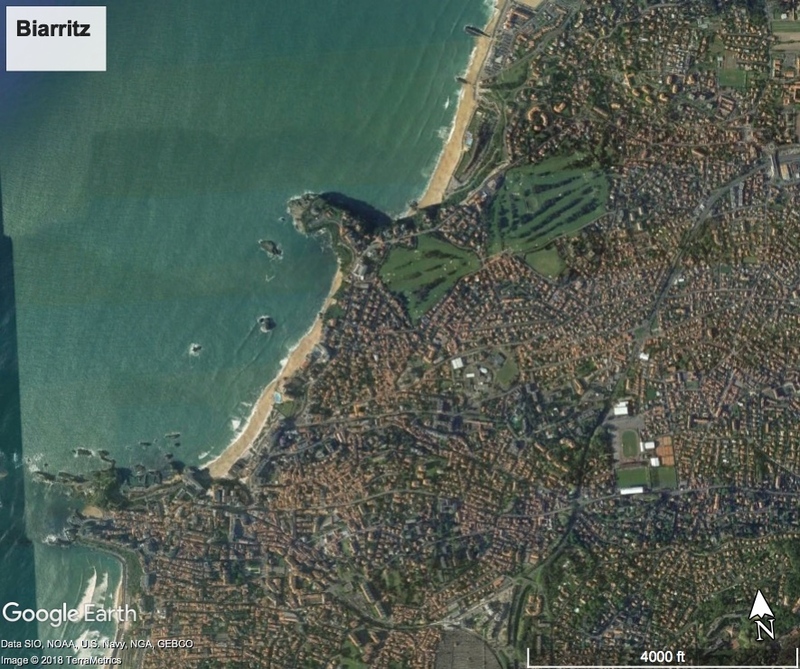 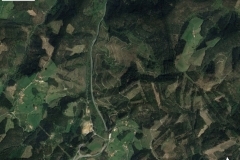 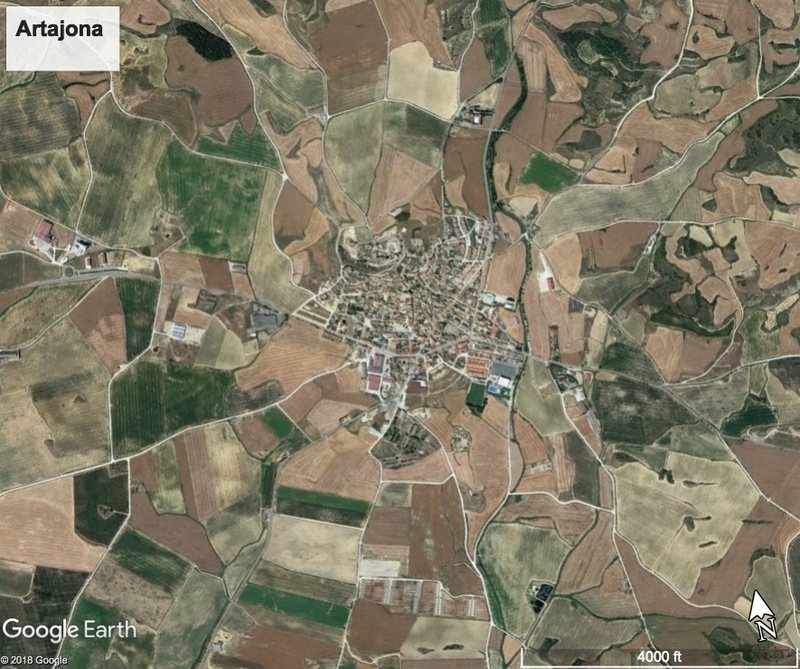 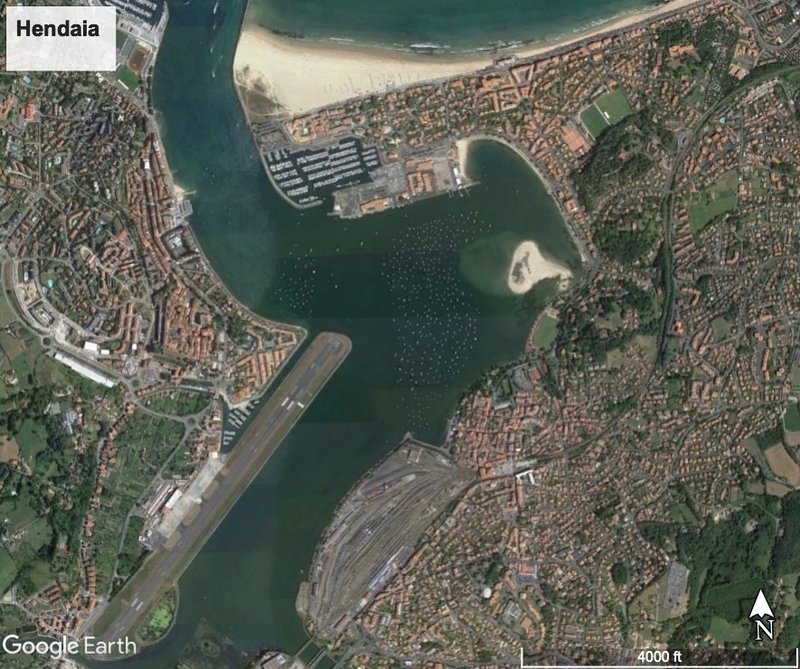 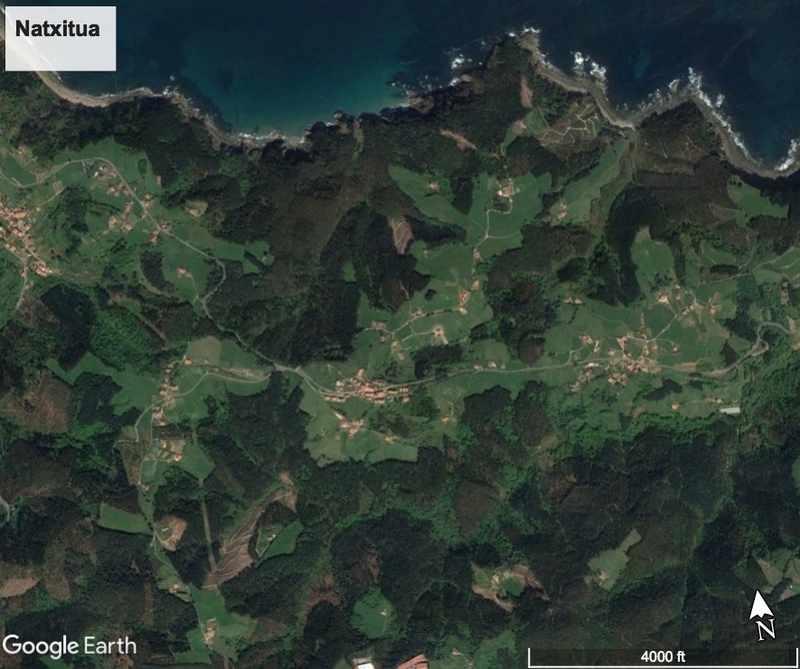 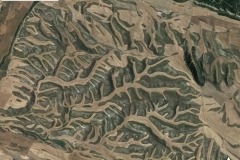 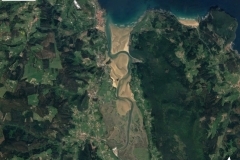 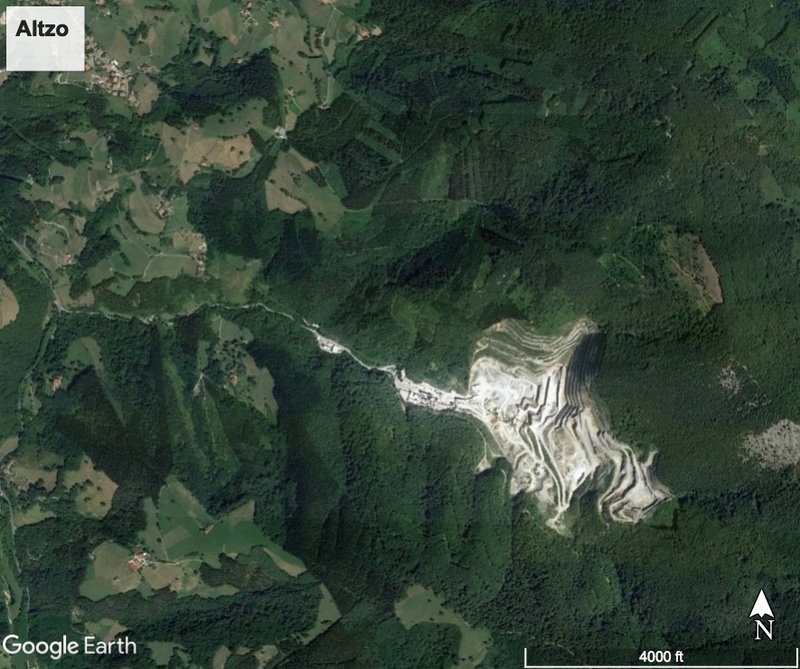 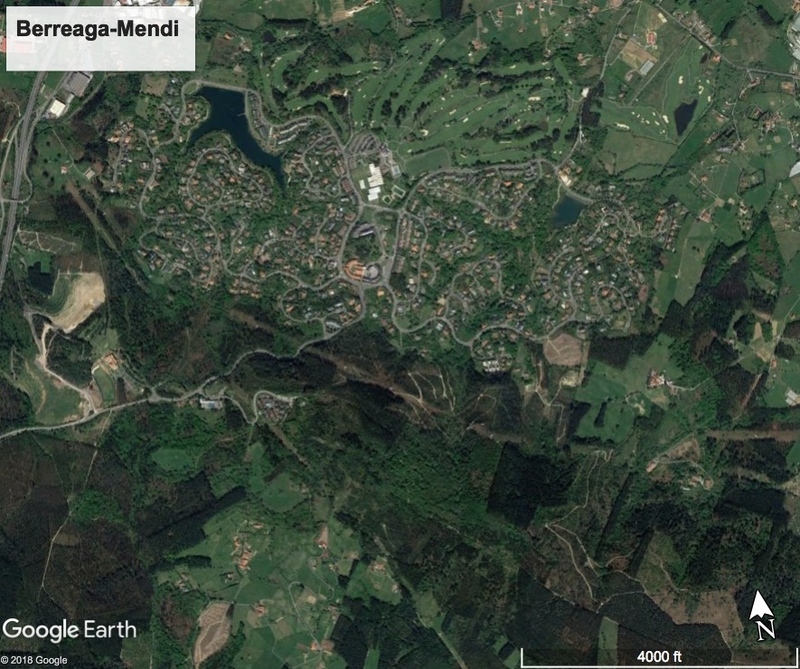 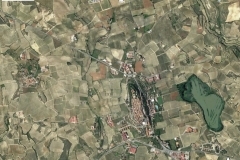 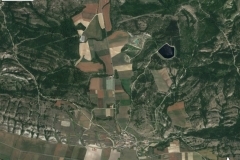 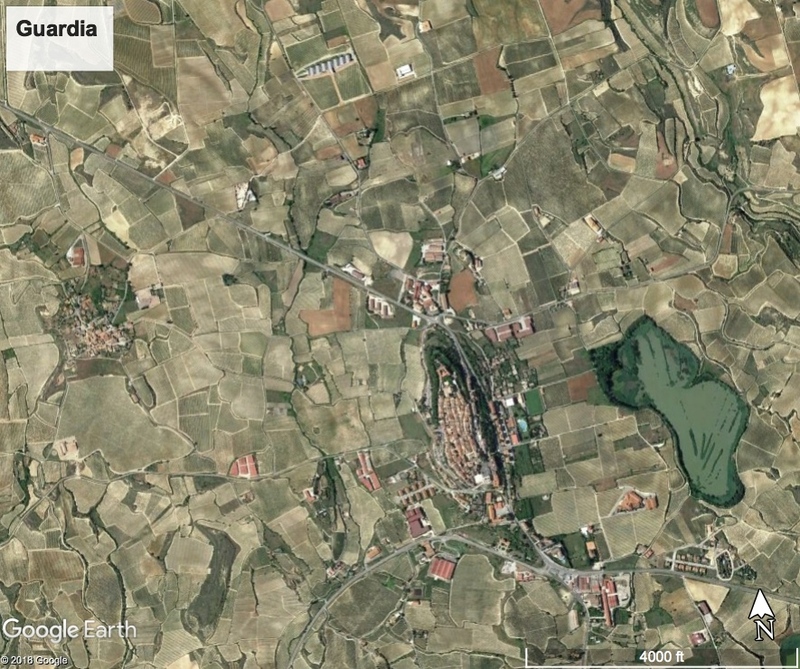 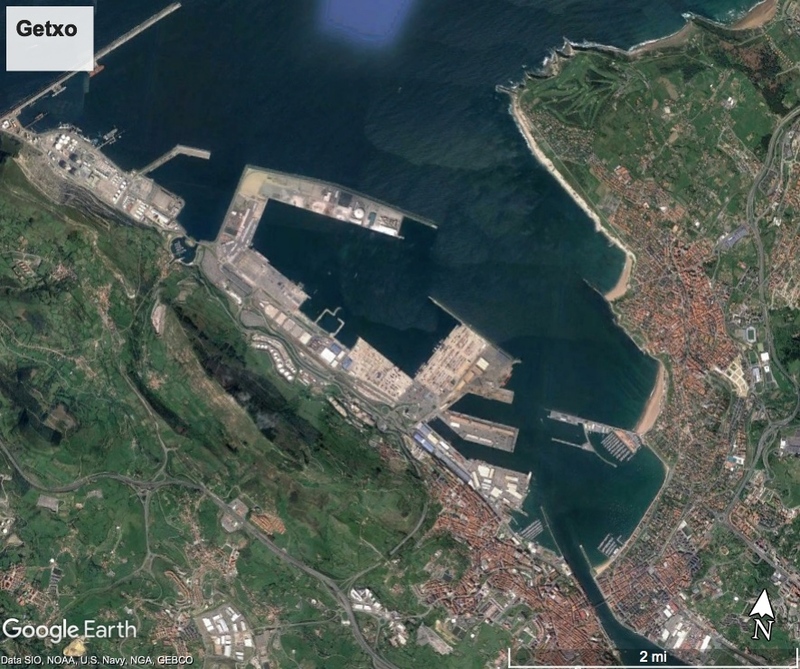 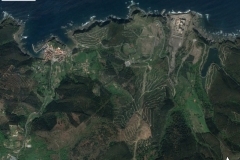 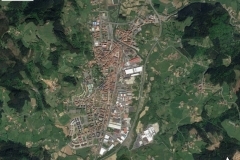 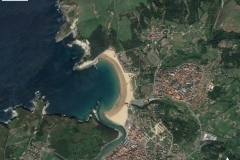 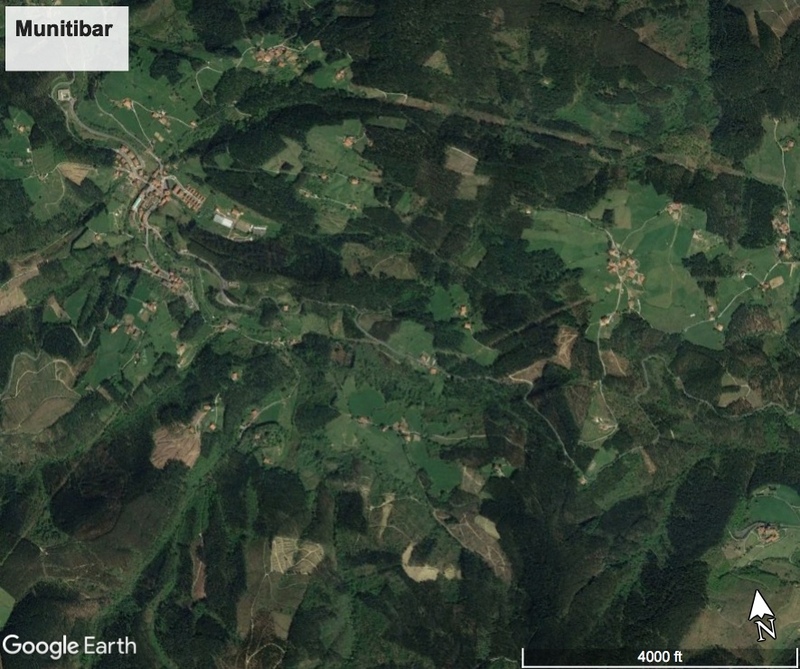 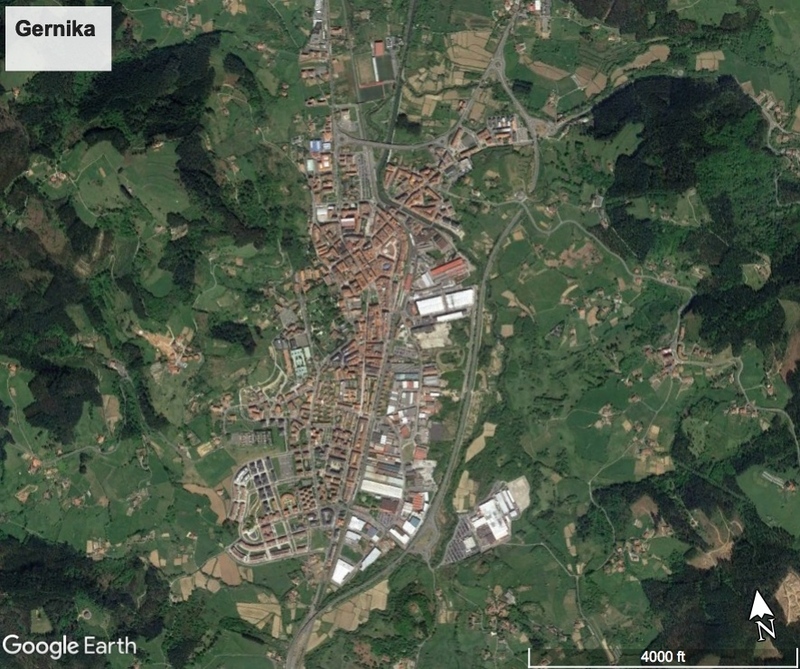 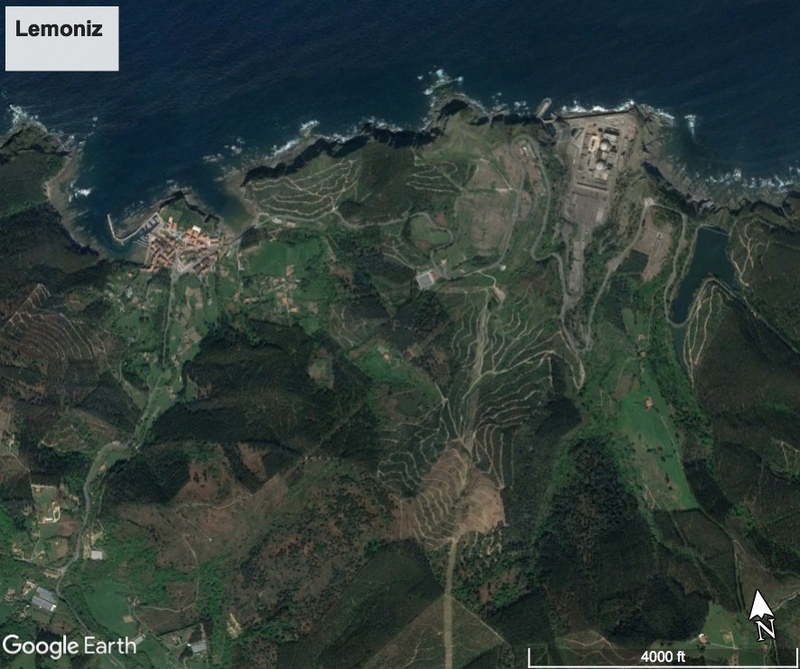 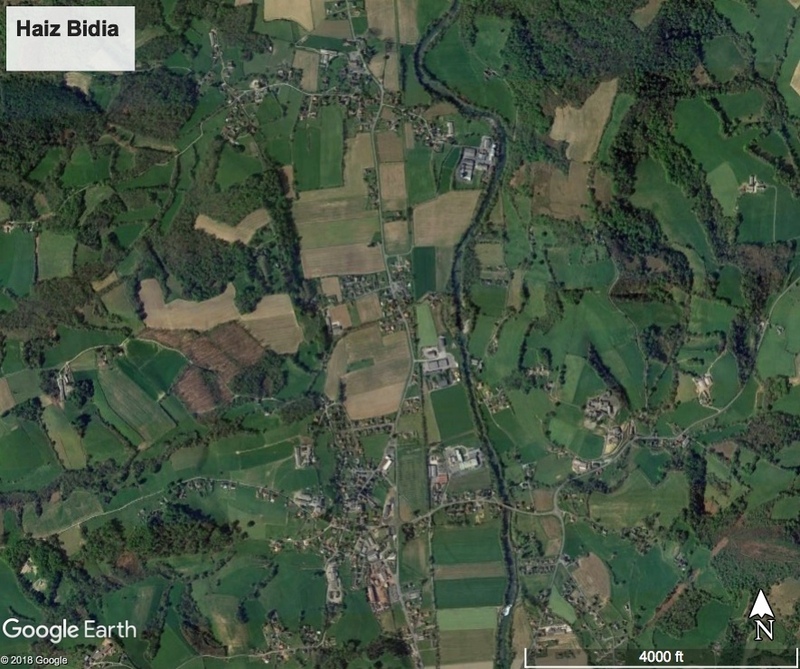 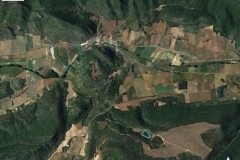 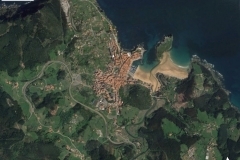 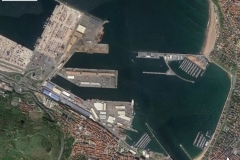 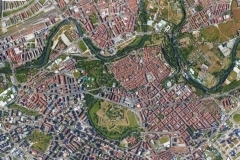 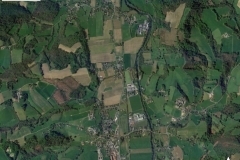 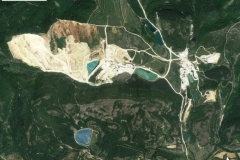 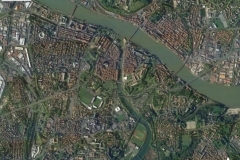 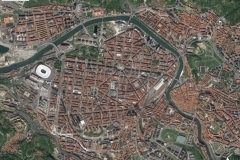 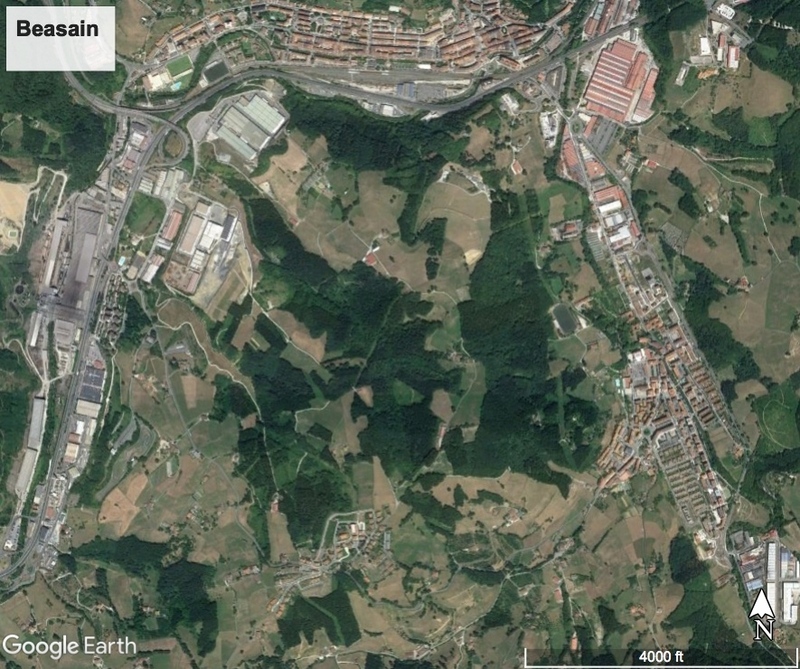 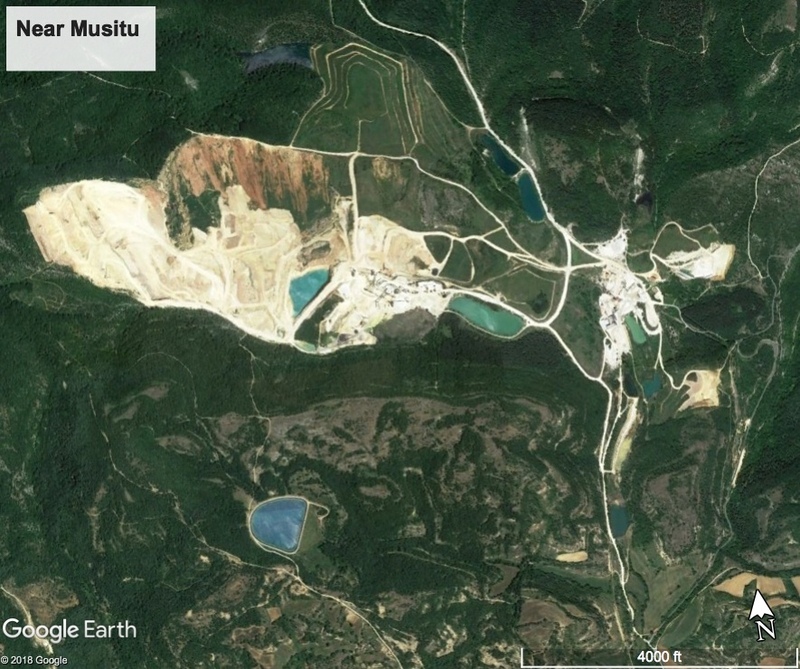 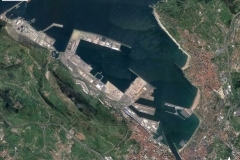 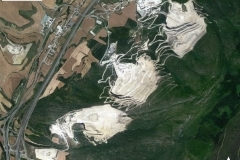 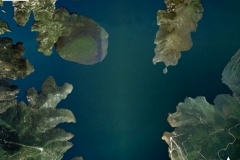 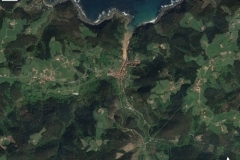 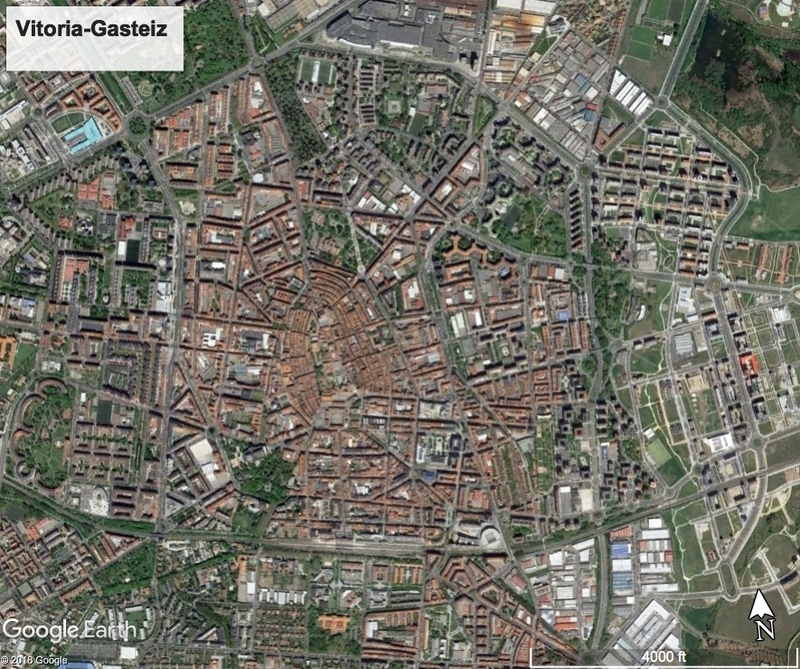 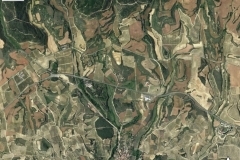 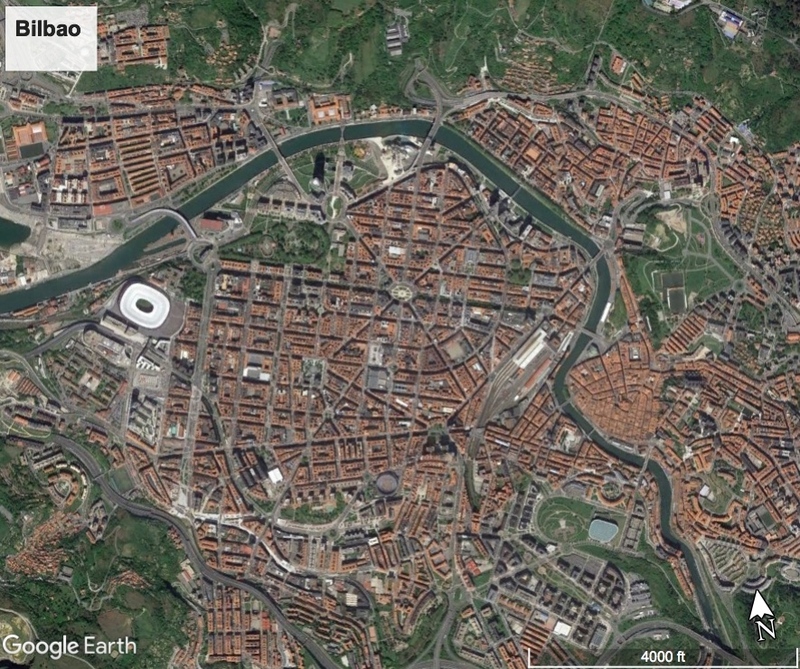 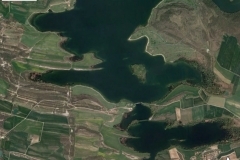 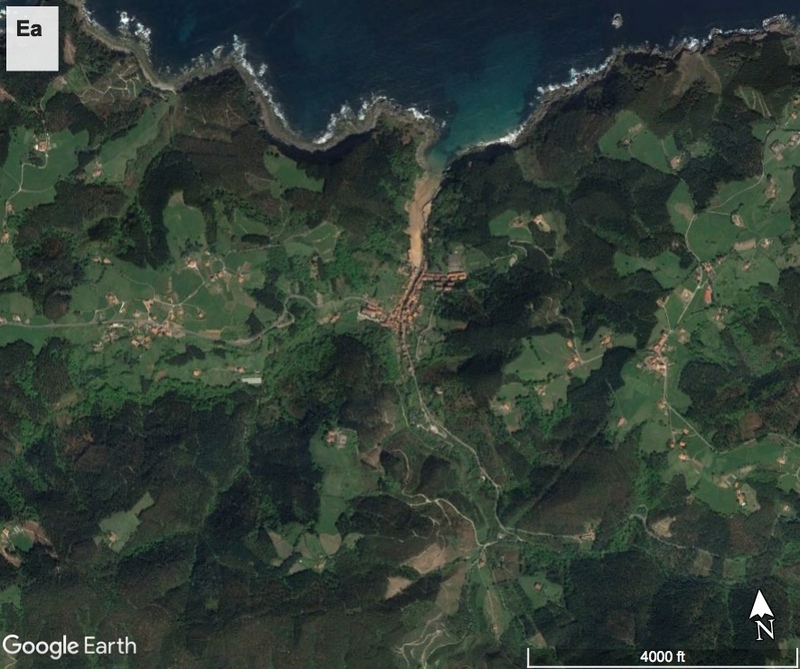 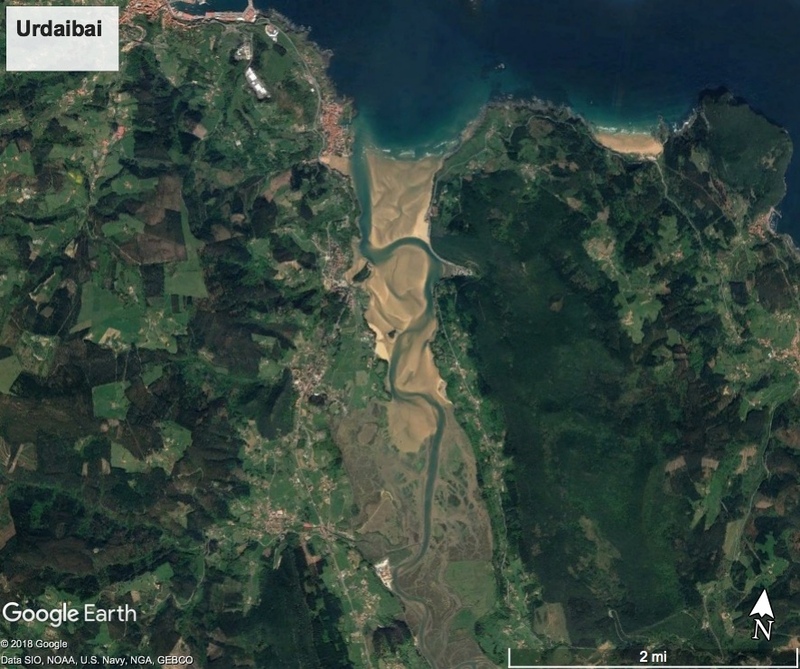 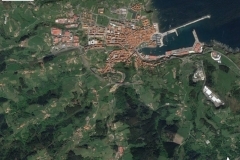 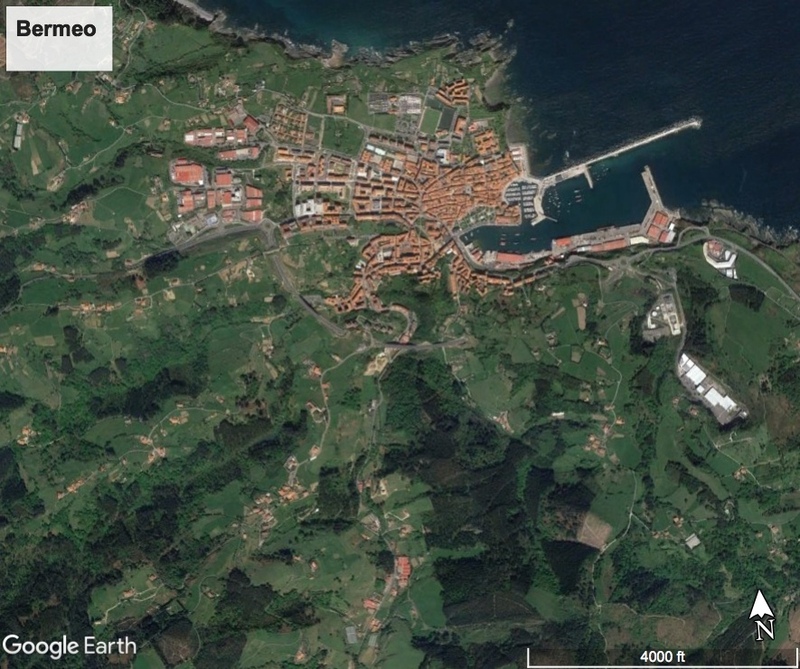 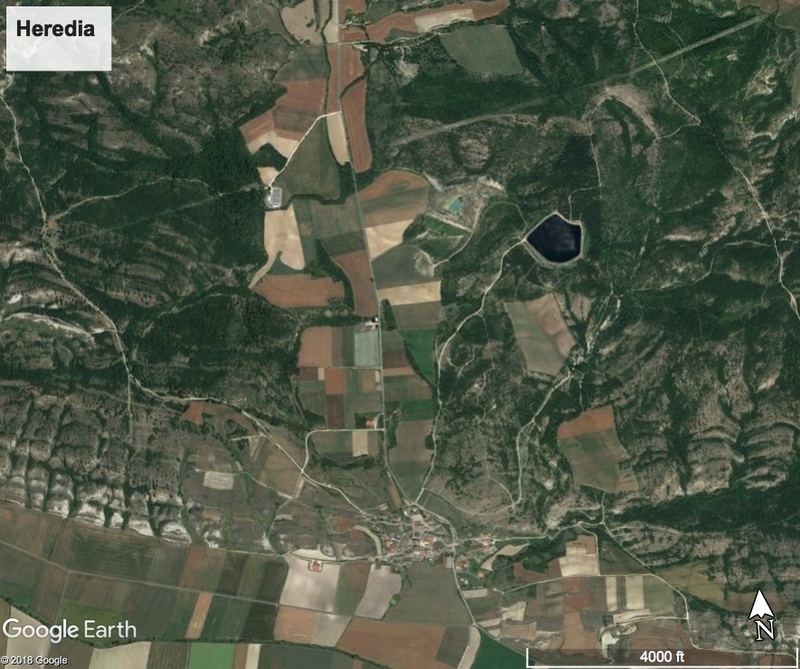 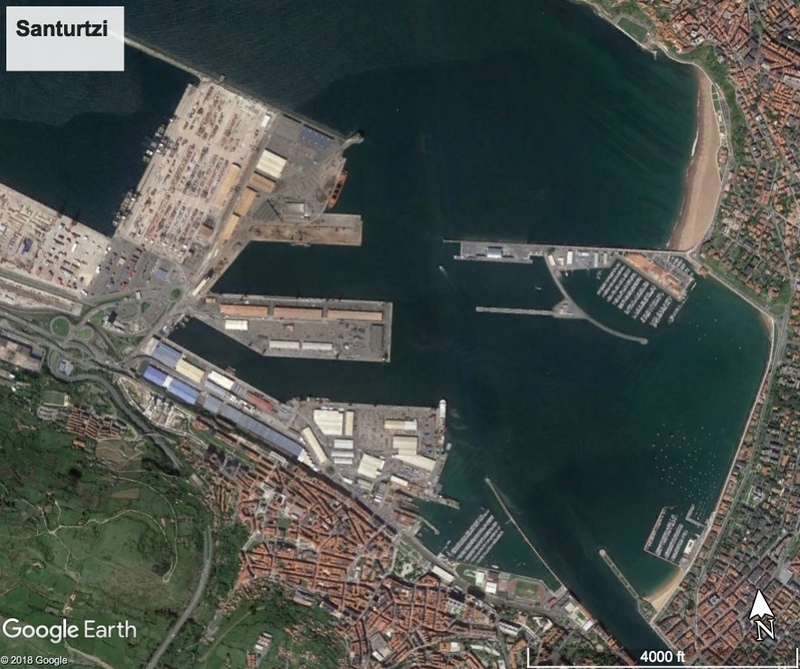 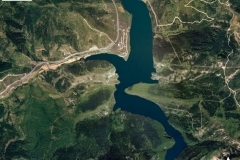 Inspired by this article in The Atlantic, where they showed parts of the world in chunks of seven square miles, I scoured Google Earth for images of the Basque Country from 10,000 feet (a few are from a bit higher), to show some of the natural and human diversity of the Basque Country. 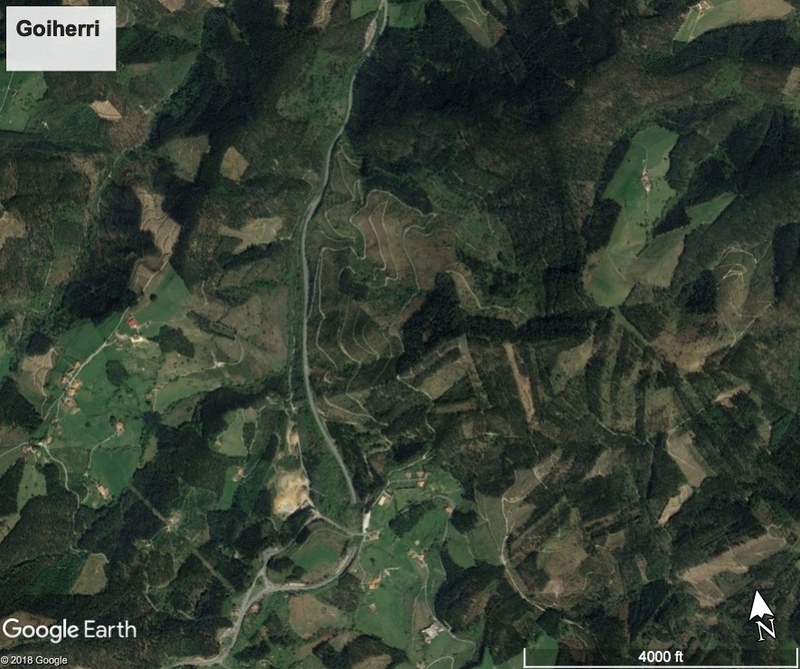 I’m sure I missed lots of cool places. 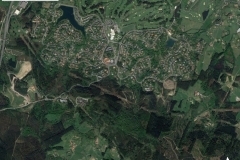 If anyone has any others, please share.